You are at:HomeUncategorizedStuff White People Like? REALLY??? Stuff White People Like? REALLY??? 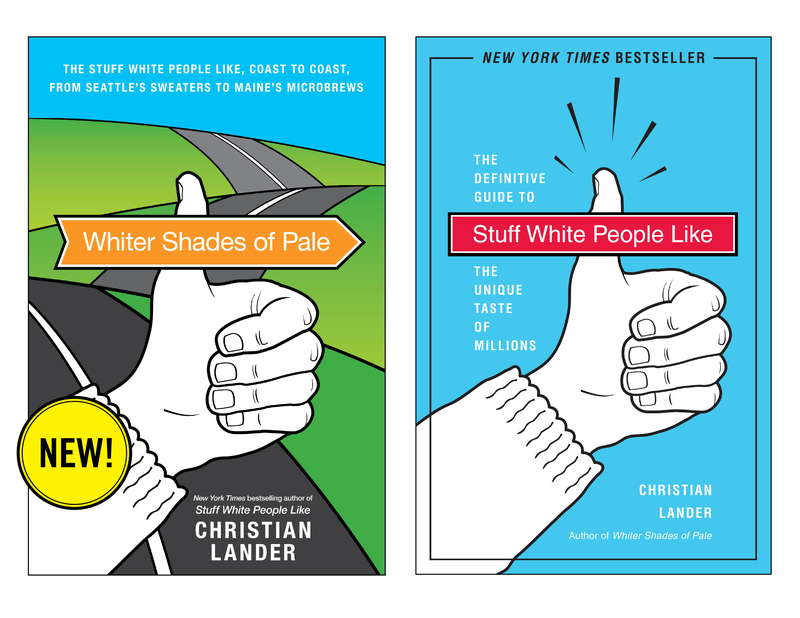 Christian Lander writes a blog called “Stuff White People Like” and has also written two books with the same theme. His first book The Stuff White People Like: The Definitive Guide to the Unique Taste of Millions is a New York Times Bestseller, as you can see on the left. Whiter Shades of Pale, his newest book, is probably well on it’s way to that same list. His website is hilarious, so I doubt the books will be disappointing. The website has gotten over 77 million hits, so it looks like I’m only one who enjoys it, which is really unfortunate. Although the website is hilarious and the books are likely just as funny, I regret to inform you that not all of it is true. The purpose of today’s post is to show you that many of the 134 things Mr. Lander proposes as a unique favorite among white people are not so unique. I will give you five examples today. 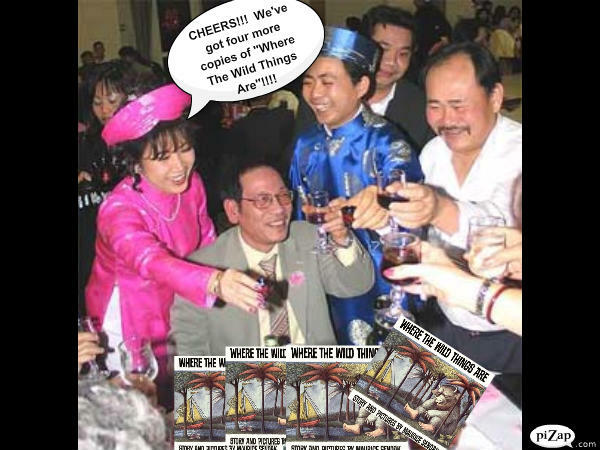 If my source wasn’t lying, everyone left that Vietnamese wedding with their own copy of Where The Wild Things Are. How do you like them apples, Mr. Lander? Looks like white people aren’t the only ones who like stories of children being banished to their rooms with no meal. Christian Lander must not know about this angry Chinese mob. 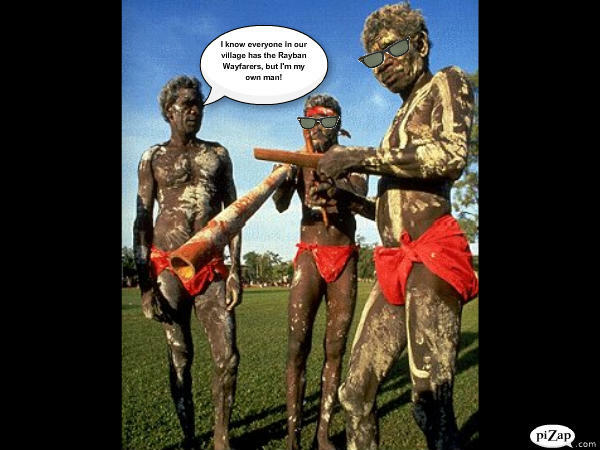 I’d like to see you tell these aboriginal men of Australia that Ray-Ban Wayfarers are a favorite of white people. That man’s text bubble says, “I know everyone in our village has the Ray-Ban Wayfarers, but I’m my own man!” I guess he was one of hundreds that didn’t give in to the Ray-Ban craze over there. 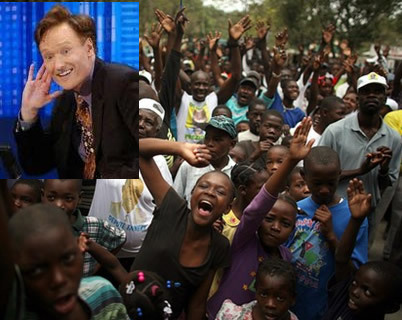 It looks like these people in this African village were pretty head over heels for Mr. O’Brien. He was putting on a show via satellite and they were loving every minute of it, as you can plainly see. 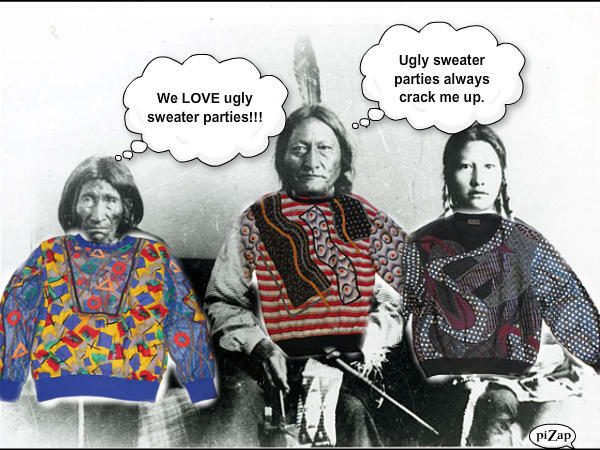 This Native American ugly sweater party happened way before the “Stuff White People Like” website even existed. In addition, THESE ARE BILL COSBY’S SWEATERS, but, yeah, I don’t know if he ever wore them to a party with other people wearing equally heinous attire. It doesn’t matter. These nice people below DID, which is enough to establish that it ain’t just a white thang. Sooooo, I think I rest my case. White people really don’t have such unique interests after all.